Cities around the Dallas – Fort Worth area are reeling from a historic hail storm that pummelled the area Sunday night. The next morning, many residents woke to find hole-punched windows and dented roofs on their cars while others put up tarps over their roofs to prevent further damage. According to weather reports, cities like McKinney, Allen, and Frisco saw anywhere from pea to grapefruit sized hail (1.0″ to 4.5″ in diameter). Other areas where smaller pea to quarter-sized hail fell, according to residents, it blanketed the ground like snow. 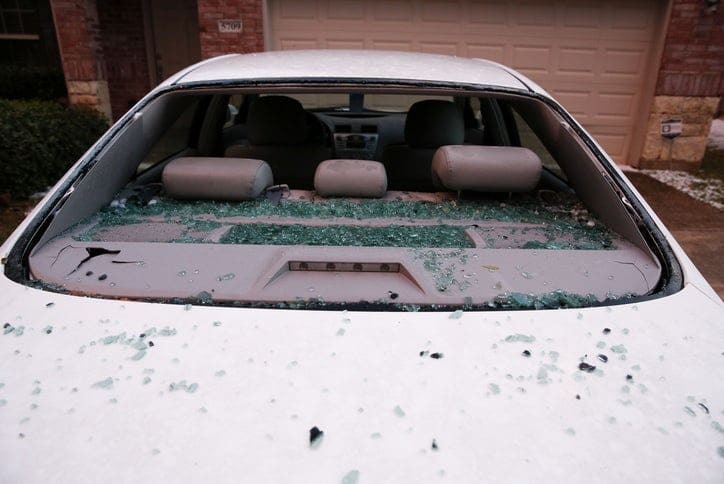 Unfortunately for Dallas residents, hailstorms are a fairly common occurrence with the area experiencing its 3rd major hailstorm in four years with the most recent having been in June 2018 where hailstorms in Arlington and Carrolton caused over $425 billion in property damage. What Should I Do If My Home Was Hit By A Hailstorm? If your home has gone through a hailstorm, it’s imperative that you do the following immediately. 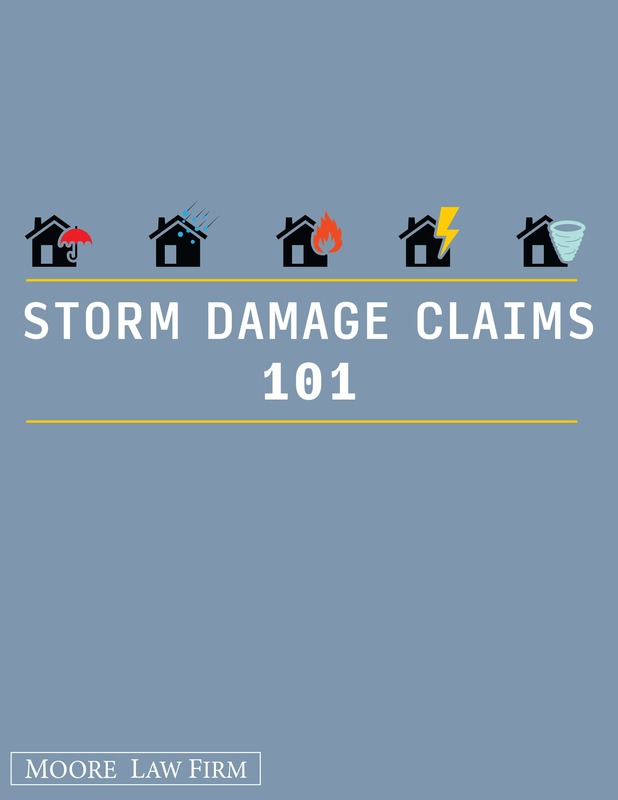 Call Your Homeowners Insurance and File a Hail Damage Claim RIGHT NOW – If your home has been through ANY major storm, this is the absolute first thing you should do as potentially thousands of other residents may be calling to file their homeowners claim as well. The longer you wait to file your hail damage homeowners claim, the longer you’ll have to wait for an adjuster and the longer the overall process may take. Do yourself a favor and try to beat the rush and make an appointment ASAP. Take Photos of All of Your Damages – If you’re able to, try to photos of your damaged property. Lifted or broken shingles, dented or broken AC units, and cracked and broken windows are typically easy to find. Remember, always think of these damages as evidence in a case because it may potentially be used that way. Mitigate Damages ASAP – Your homeowners’ insurance policy likely has a provision that requires you to reasonably mitigate (or temporarily fix) any damages to your home to make sure more damage does not occur. Things like putting up tarps could be required as NOT doing so could have devastating effects on your hail damage claim. Speak To An Experienced Hailstorm Lawyer – Unfortunately, insurance companies are known to low-ball or outright deny legitimate hail damage claims. Most end up getting the run-around and are left with little or nothing to pay for their damages, even though they’ve been their homeowners’ insurance premiums for years. If your hail damage claim is denied, delayed, or underpaid, speaking to an attorney is a great option to help potentially get your insurance company to fall in line and pay for the hailstorm damages. Talk To The Texas Hailstorm Lawyers At Moore Law Firm TODAY! 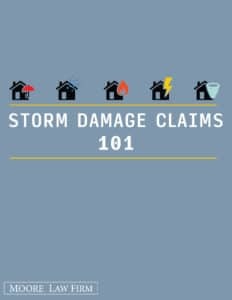 If you are looking for more information on how hail damage attorneys at Moore Law Firm can help with your storm damage claim, call 1-800-444-2780 right now! The consultation is free and it is absolutely FREE to start your case. If your hail damage claim needs a 2nd opinion, call the storm damage lawyers at Moore Law Firm today!